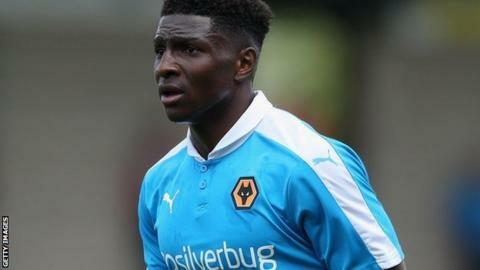 Wolves must remain without defender Kortney Hause following a recurrence of the hamstring injury that has already kept him out for four matches. The England Under-21 international was a Championship ever-present this season until suffering the injury during Wolves' 3-1 home defeat by Middlesbrough on 24 October. But head coach Kenny Jackett has said that he will be out for "a few weeks". Since then, Wolves have signed Mike Williamson on loan from Newcastle. Wolves have conceded just three goals in that time, having won 2-0 at Birmingham and held Championship high fliers Burnley to a goalless draw, as well as losing 1-0 at Bristol City and drawing 2-2 at Ipswich last weekend. Fellow defender Ethan Ebanks-Landell is fit again for Saturday's home game with MK Dons after a broken foot, but Jackett says midfielder Jack Price is only "50-50" to feature because of a bruised hip. Goalkeeper Emi Martinez remains sidelined by a thigh injury. The Wolves boss has also welcomed back teenage striker Bright Enobakhare to the club after his unauthorised absence and said that he is likely to be involved in an under-21 game in the next few days.